Supporting your Foundation means you believe in the power of family medicine and in the importance of contributing to student and resident programs and activities.. 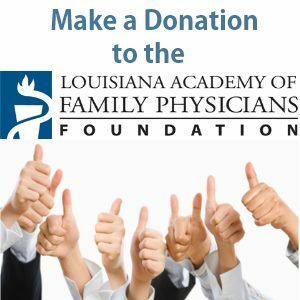 The Louisiana Academy of Family Physicians Foundation, supports educational and scientific initiatives of family medicine to improve the health of all Louisianans. The Foundation provides and supports various state and national programs that contribute to family medicine awareness and involvement. It also offers various scholarships for residents and medical students to attend conferences and other educational events. 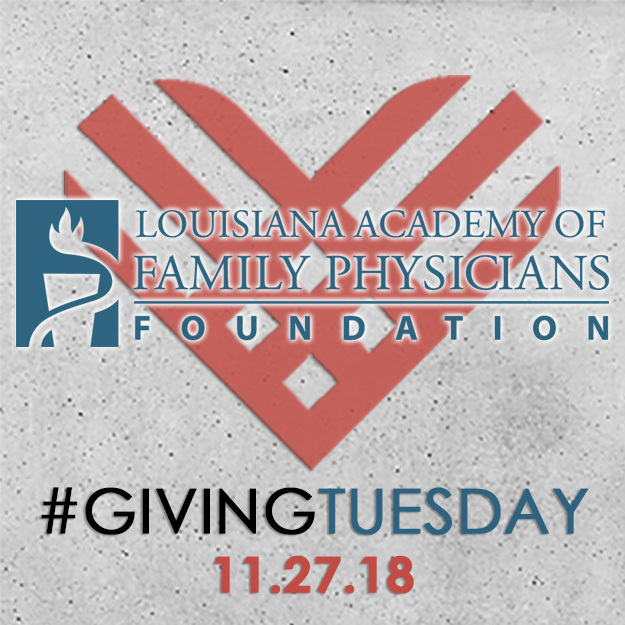 LAFP Foundation programs have benefited hundreds of Louisiana medical students and residents through educational programs, meeting attendance stipends, and scholarships. Please join in supporting the work of your LAFP Foundation. Make a difference in the lives of students, residents, physicians, patients and communities here and around the world. Help ensure that working and future family physicians have the resources to learn, grow and give back. Ensure the future of your specialty through educational programs.